Pennex Aluminum is part of the Metal Exchange Corporation. MEC founded in St. Louis in 1974, Metal Exchange Corporation has grown from a regional aluminum scrap trading company to a global trader and manufacturer of nonferrous metals. Ingrained in the minds of every Metal Exchange Corporation and Pennex Aluminum employee is the motto of our founder, Morris Lefton: Nisi adieris non intellegis. (“If you don’t go, you don’t know.”) This brief statement encompasses the culture of Metal Exchange Corporation family of company that includes Pennex. Visit the customer. See their operations. Understand their needs. This is how we’ve built and maintained the foundation of Metal Exchange Corporation: long-term relationships with customers and suppliers based on trust, integrity and reliability. 1960 – Penn State Aluminum founded. Begins operations with one 7” 1675T extrusion press and paint line. 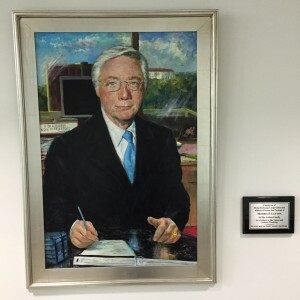 1974 – MEC Founded by Morris Lefton. 1979 – Pennex Aluminum founded in Wellsville, PA, one 7” press. 1982 – Remelt and Billet casting added to the Wellsville facility. Provides internal supply of billet and excess sold on open market. 1996 – Pennex doubles extrusion capacity with addition of an 8” 2600T press.